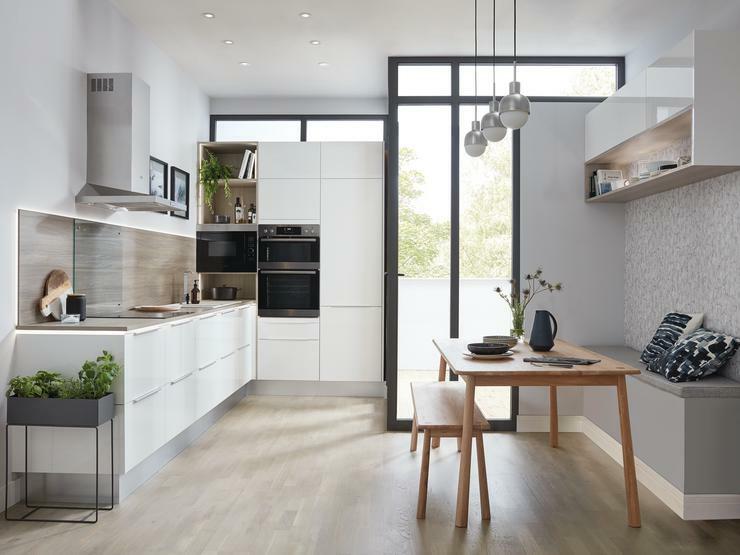 Make a kitchen lighter and brighter with these glossy cabinet doors in a soft shade of ivory. 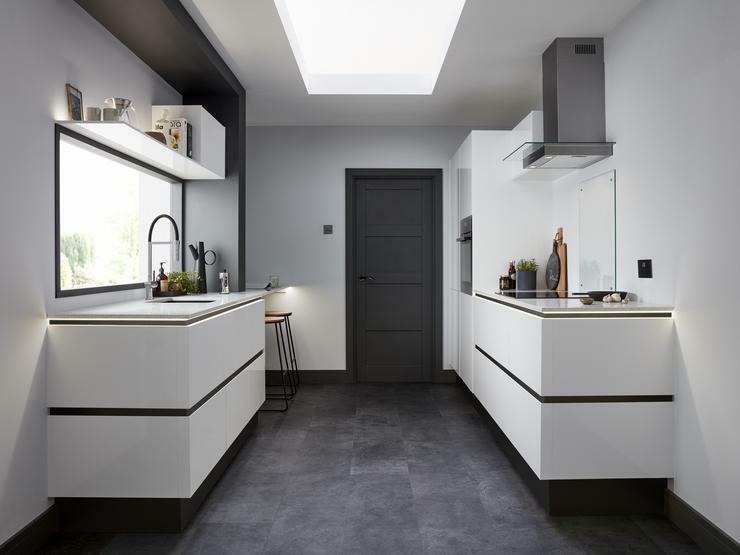 In a smaller space, the gloss finish of this 16mm-thick door will bounce light around the room, making it seem larger. 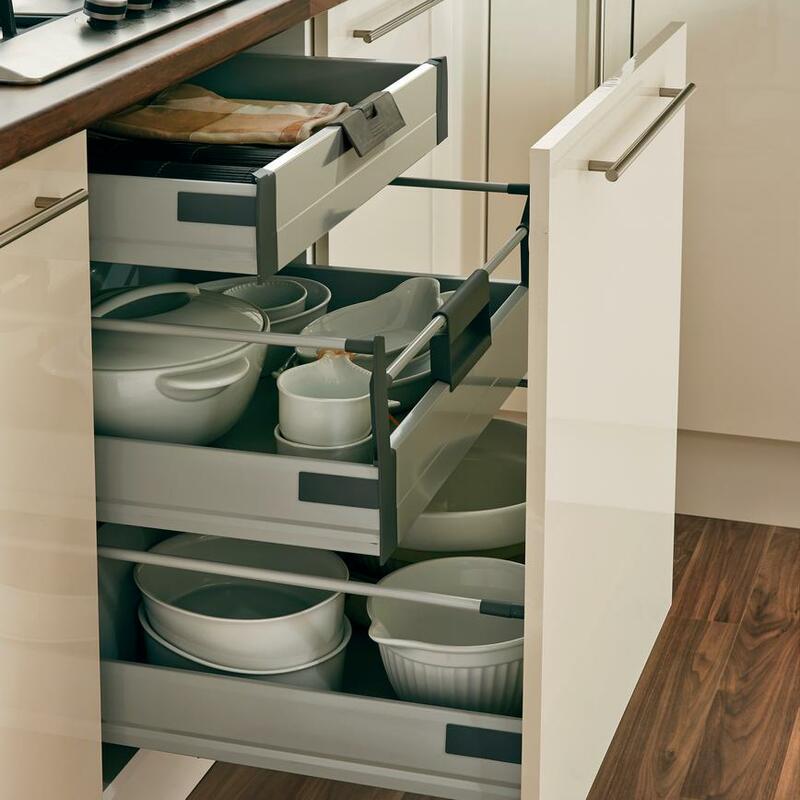 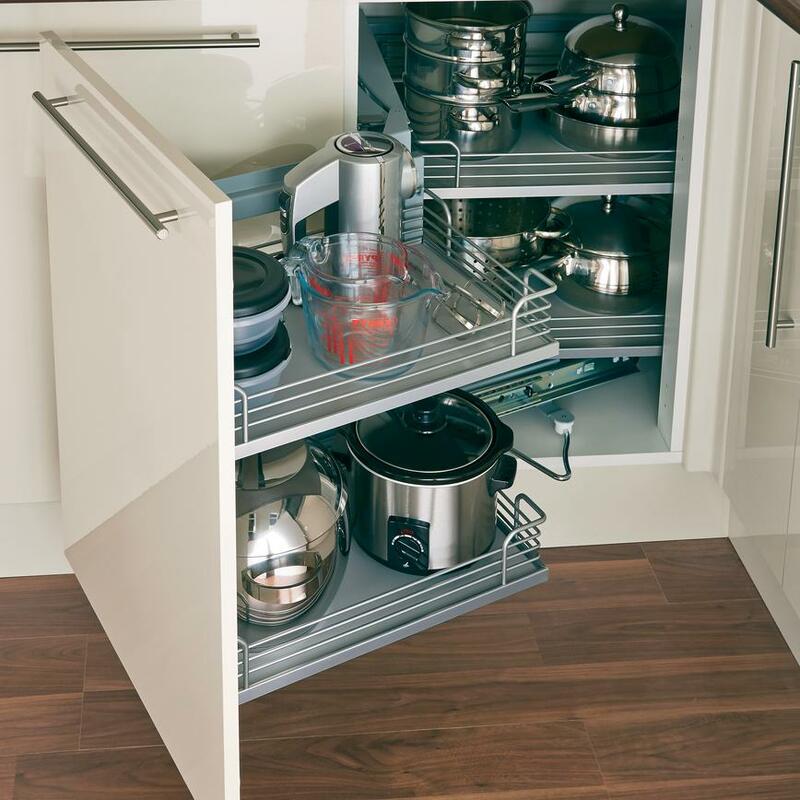 Plus our range of cabinet options includes deep pan drawers which can store plenty of cooking tools with ease. 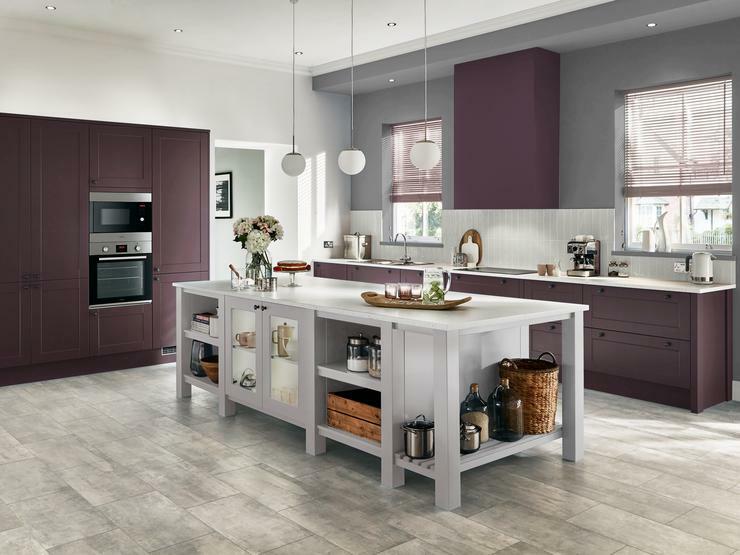 Contrast the reflective surfaces with the dark tones and natural grain appearance of a walnut block effect worktop. 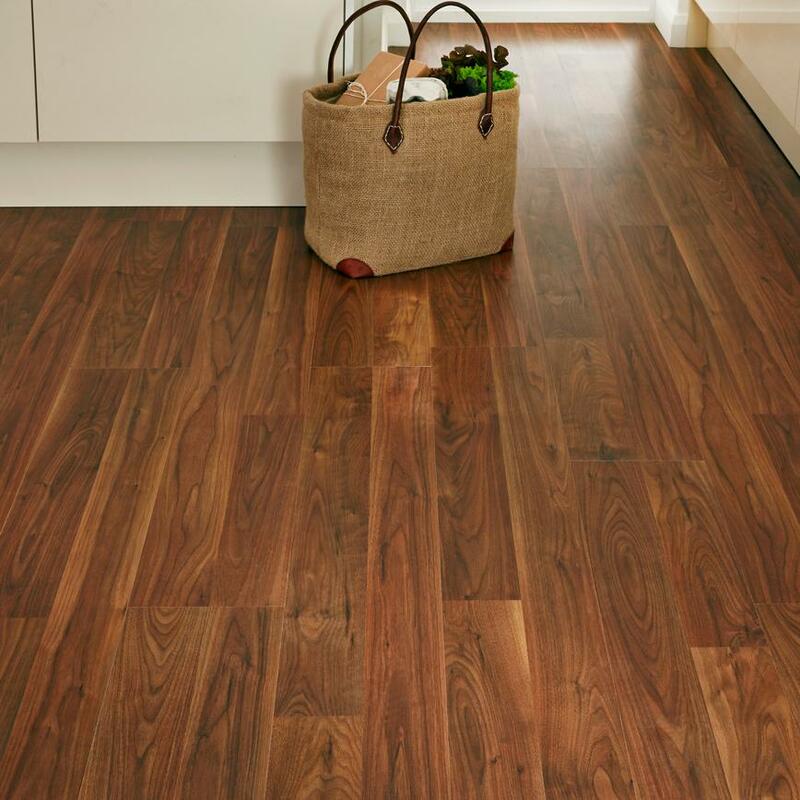 Then add easy to clean walnut laminate flooring. 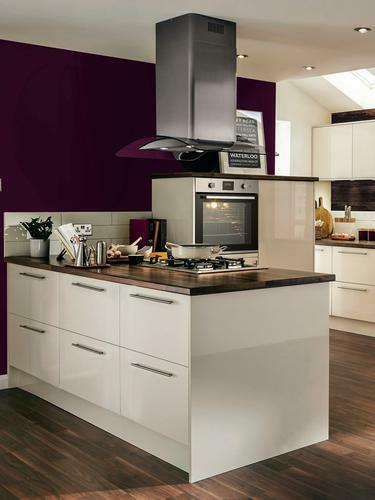 Placing the hob on an island will make the kitchen feel less crowded when cooking. 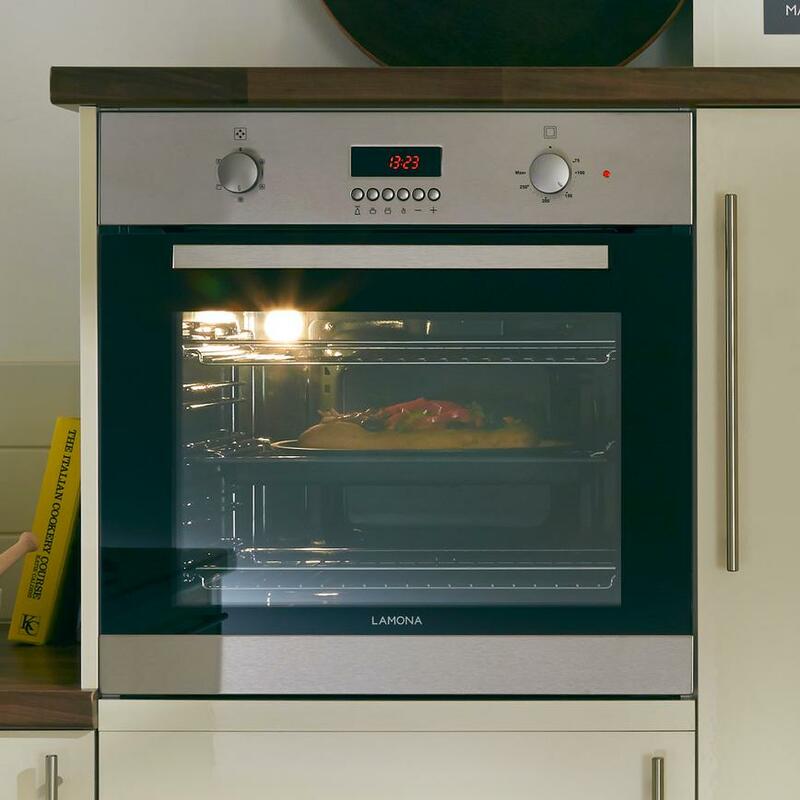 Add a Lamona cylinder island extractor extractor above to create a striking centrepiece and quickly remove cooking smells. 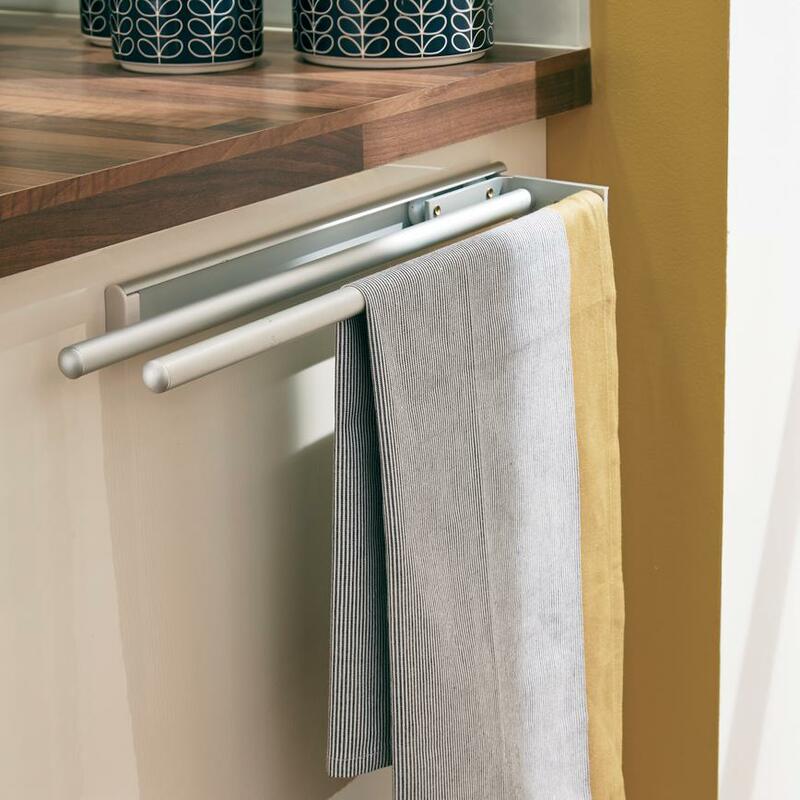 Stainless-steel handles add metallic highlights to the cabinet doors. 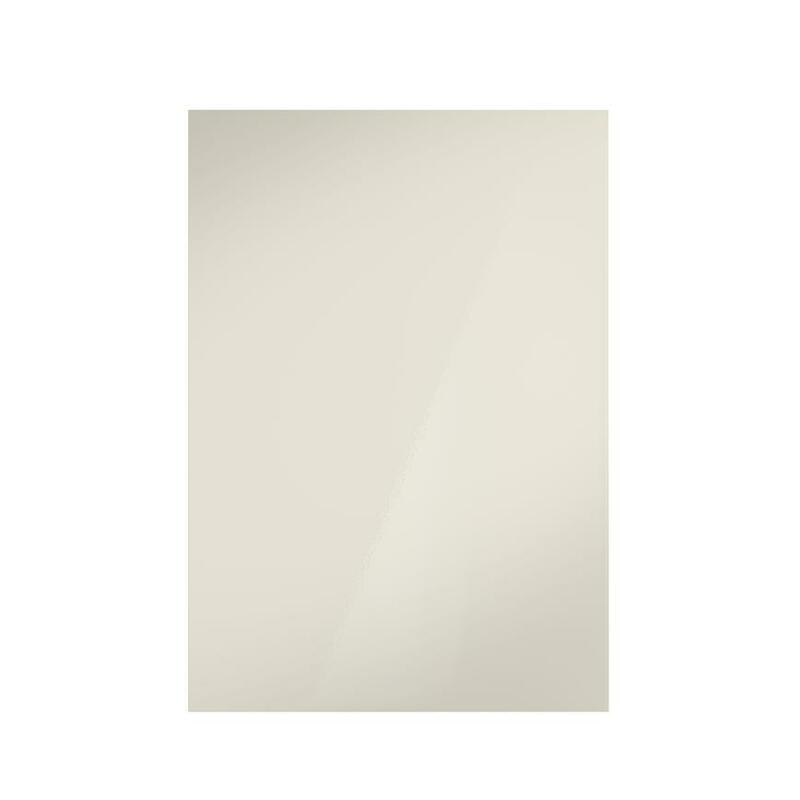 The simple T-bar design complements this understated look.